Sea bands have been around for a while now. The main idea behind them stems from a sub-category of eastern medicine called acupressure. It states that by pressing specific points in your body, you can experience various health benefits. There has been much controversy behind sea bands, so you’re all probably wondering do sea bands really work. To best answer this question, we’ll be taking a look at some studies, as well as other peoples experiences. A quick note: Sea bands, motion bands, and travel bands are actually all the same thing; they’re just named differently. How do sea bands work? Do sea bands and travel bands really work? Do travel bands work as well as sickness tablets? How to wear sea bands correctly? 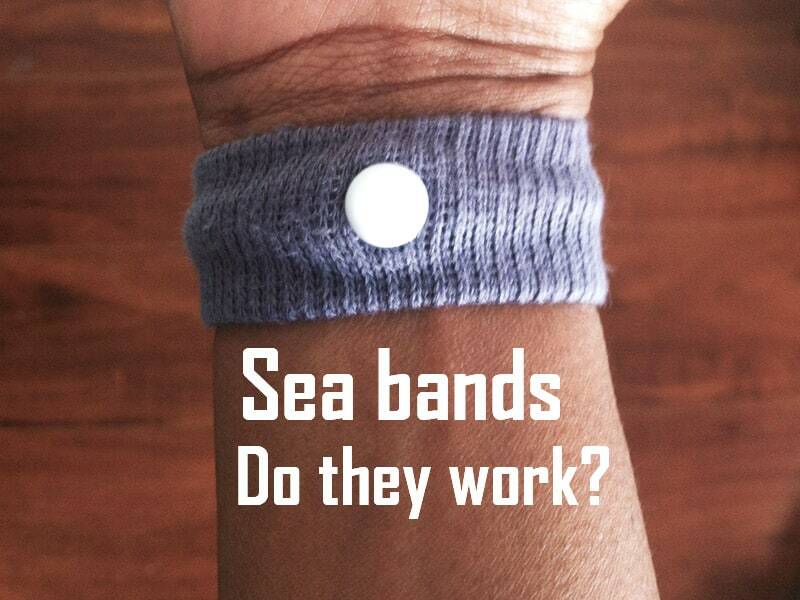 What sicknesses do sea bands work for? Travel bands (Other known as sea bands) are specially designed wristbands that help with relieving motion sickness. They’re intended to cure all kinds of motion sicknesses: Seasickness, car sickness, air sickness, and morning sickness. Some more-expensive options use electric shocks to trick your nervous system and can cure sicknesses in a matter of minutes, but these cost around 100$. On the other hand, there are many cheaper bands available under 10$, which mostly use acupressure without any electric shocks. Personally, I’ve never found a sea band that looks good. In my opinion, all of them look like a poorly designed sporting wristband that cool people used to wear in 2001. There definitely could be a room of improvement for more stylish options! Some more traditional alternatives to travel bands include ginger tablets, prescribed tablets and motion sickness patches. There’s no question that these conventional methods work, but how about Travel bands? I actually did a lot of research on this and studies have shown that they do. We’ll take a closer look whether they work in the following sections. If you’re looking at a wristband that costs less than 15$, most likely it’s using acupressure. In its nature, acupressure is very similar to acupuncture and is also borrowed from the eastern medicine. The science of acupressure states that there’s a specific point on the back of your wrist that helps with relieving motion sickness called Nei-Kuan acupressure point. Travel bands take advantage of this with a smart design which applies pressure to this point, therefore reducing your motion sickness. On the other hand, if you’re looking at more-expensive alternatives that cost around 100$, they’re most likely using neuromodulation. They’re usually equipped with batteries and periodically produce small electric pulses that trick your brain into shutting down your motion sickness. Although these are more expensive, people have gotten faster and better results from these than the cheaper alternatives. Now here comes the million dollar question: Do they actually work? Let’s take a close look at this in the following paragraph. First of all, there’s a lot of controversy regarding travel bands, as with eastern medicine in general. I’m no expert on travel bands or eastern medicine myself, but from researching, I’ve found that sea bands work for most people. And not as a placebo effect! I spent a vast amount of time reading other peoples experiences as well as some studies. There are a lot of skeptics that say that travel bands work for those who believe that they work. However, research says otherwise. A study published in the US National Library of Medicine found that the effects of acupressure bands are real. They studied pregnant woman across seventeen medical clinics to see how these bands affect their morning sickness. The respondents were divided into two groups, one with real bracelets and the second with fake ones to test if it’s a placebo effect. The study resulted in the group with real acupressure bands having less frequent nausea, as well as significantly less severe nausea. Okay, but what about real customers that have bought and used sea bands? On Amazon, the most popular bands have the average rating of over four stars from thousands of reviews, which shows that generally, people are happy with their purchase. 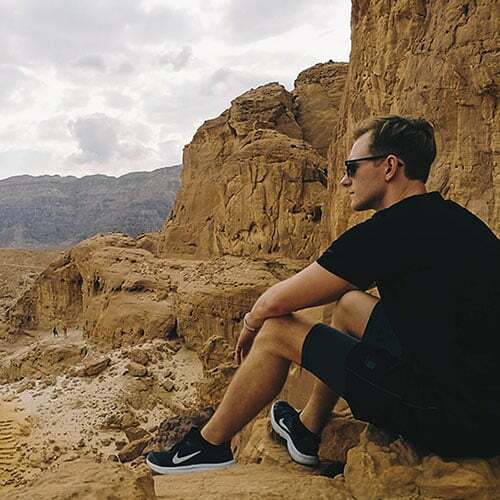 From what I’ve gathered on different travel forums, they work only for most people. Most responses say that the bands really do work. However, there’s lot’s of skeptics as well. For instance, a topic on Tripadvisor has really mixed reviews, with some people stating that they work and some that they don’t. What’s the takeaway? Most people and some studies state that they really do work. However, there’s a lot of skeptics as well. In the end, it’s up to you to try it out and see if the eastern medicine of acupressure works for you. Travel bands use Eastern medicine as opposed to regular western medicine tablets. So the question really is which medicine works better. As always, there are mixed answers, but a lot of people prefer using travel bands over tablets, because of the side-effects of regular pills. If you’re a victim of motion sickness, your doctor has probably prescribed you various tablets that help you with nausea. Often as a side-effect, you’re left feeling like a vegetable. So a lot of people are looking for other alternatives. A great alternative could be travel bands, as they’re helping with motion sickness with no side-effects. From various forums, people report that they’ve actually achieved the same effect as tablets, but with no side-effects. However, for some travel bands just don’t work. Another option would be ginger root capsules or ginger root chewing gum. It’s a natural alternative to tablets with no side-effects that leave you feeling tired and sleepy. Most people report that these are better than travel bands or doctor prescribed tablets. Friendly advice: If you’re trying out a new way to cure your motion sickness, always take with you the last option that worked for you, in case the new option doesn’t work for you! You don’t want your vacation ruined because of nausea. Place your middle three fingers of your right arm on the back of your left wrist, with the third finger aligned right at where your palm starts. Now with your three fingers right next to one another, your index finger should be around two inches from your palm. You should feel two main bones of your back wrist under your index finger if you squeeze your left hand. The acupressure Nei-Kuan point is right under your index finger. When you’ve located the correct point, place the band on your wrist with the button pressing right on top of the Nei-Kuan point. Repeat the process for your right hand with your second wrist. For the bands to be effective, you should wear bands on both wrists. You can put them on before your journey or at the start. Morning sickness for pregnant moms. A study actually researched the effect that these bands had on pregnant women and concluded that they actually reduce the frequency and severity of morning sicknesses. Seasickness. There’s a reason why these bands are called “Sea bands.” It’s because most people associate motion sickness with seasickness. Car sickness. Just make sure to pop these bands on before you start your journey. Air sickness. Same as any other motion sickness, travel bands work by using acupressure to trick your brain into shutting off the feeling of sickness.